As consultants, much of our work is found in client reports, which may or may not be in the public domain. These knowledge products are the opportunity to make available Itad’s thinking and knowledge, collected from across our projects. There is a range of material here, including working papers, think pieces, academic articles, project publications, and webinars. Millennium Villages Project Briefing Paper No.3: Was it cost-effective? 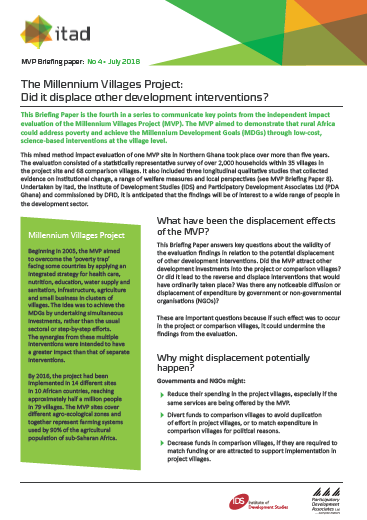 Millennium Villages Project Briefing Paper No.4: Did it displace other development interventions? 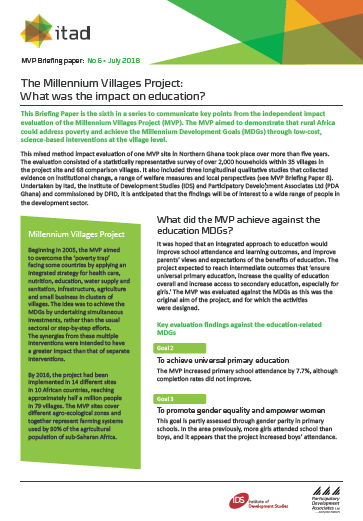 Millennium Villages Project Briefing Paper No.6: What was the impact on education? 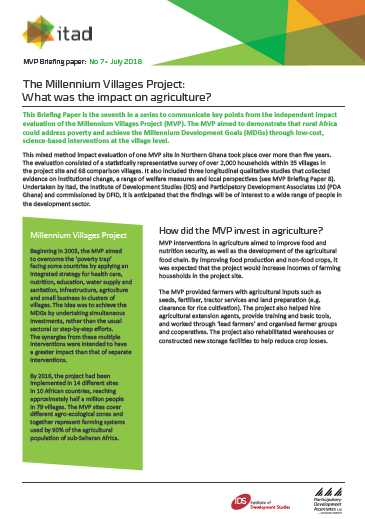 Millennium Villages Project Briefing Paper No. 7: What was the impact on agriculture? 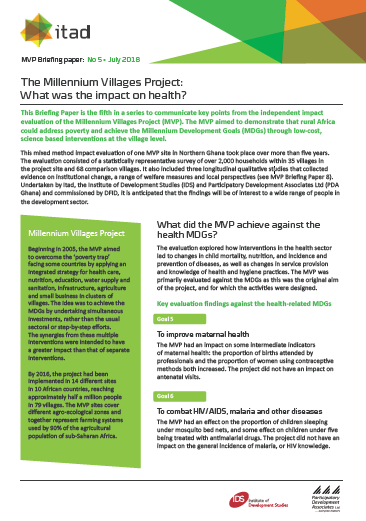 Millennium Villages Project Briefing Paper No. 8: What was the evaluation design?